Hello all, I apologize for my absence this weekend, but I had family in town that occupied my time. But, I'm back, and with less than 30 episodes left, I'm going to try my hardest to get the rest of these released in the next two weeks. We start Episode 073 with Jack and the other survivors encountering Ben and Alex on their way to the radio tower. In the Looking Glass, Mikhail follows Ben's instructions and kills Greta but takes a harpoon to the chest from Desmond before he can kill Bonnie. Ben talks with Jack and tells him that his people have Sayid, Jin, and Bernard hostage, and will kill them unless Jack gets Ben the satellite phone that Naomi has. 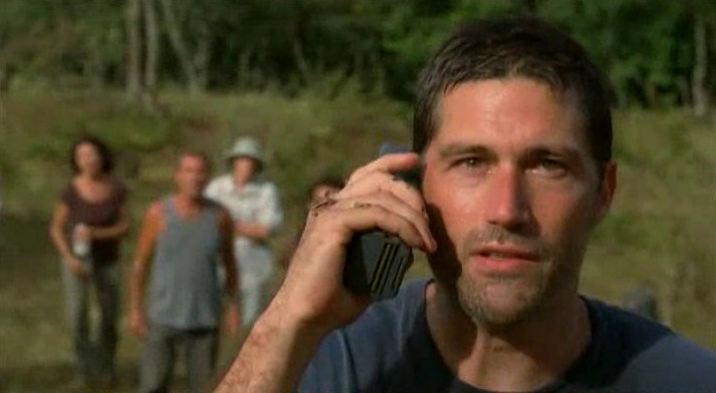 Jack doesn't give it to him, and Jack hears gunshots over Ben's radio. Only we discover they're not actually dead, it was all a trick. Sawyer and Juliet arrive to the beach camp and try and figure out what to do, when Hurley comes out of the jungle driving the bus and runs over one of the Others. Sayid kills another one, and Sawyer takes one of the guns and shoots Tom Friendly in the chest. Ben is taken captive by Jack, and introduces Alex to Rousseau, her mother. Charlie learns the code to shut off the jamming in the Looking Glass. He receives a call from Penny, but before Desmond can see the call, he sees Mikhail outside the porthole window with a grenade. He pulls the pin, and blows up the window. Charlie shuts the door to the rest of the station so that the whole station doesn't get flooded. Before he drowns, he writes on his hand that the freighter offshore is not Penny's boat, so that Desmond can take that message back to everyone else. Jack and co. make it to the radio tower and shut off Rousseau's message. Naomi tries to get a signal from her phone, but takes a knife to the back from Locke before she can complete the call. He tries to get Jack to get off the phone, but can't kill him, so Jack makes the call with the freighter and asks for rescue. Back at the beach, everyone is celebrating when Desmond arrives and tells them that Charlie died. The two camps (beach, radio tower) head through the jungle and meet up with each other, and as soon as they do, they split up again, with Jack leading one group that wants to get off the island, and Locke with another group that believes the boat is dangerous and that they shouldn't leave. The episode funs 55:40 and is 461MB to download. You can stream the episode below (via Facebook), or go here to use torrents (better quality, recommended) to download the episodes to your computer.